Users get 10 seconds to view a web page and then are asked what they saw. Most users spend 10-30 seconds glancing at a webpage or app before moving on. This helps designers understand what the most visible thing on the page is. If it’s not what the designer wants the user to see first, then the design needs reworking. Fixed-width designs for multiple viewport sizes. The system detects what size screen they’re using and serves a website designed specifically for that viewing experience. A way to organize ideas into groups based on their relationships. Often used to review and analyze pain points and delights along a user journey. A development method that uses iteration and feedback to launch and refine products. Two to four week sprints are generally conducted repeatedly throughout the year, following a proscribed method of planning, coding, and testing for continuous product evolution and feature integration. The stage of the product design process where insights are drawn from data collecting during the earlier Research stage. A broad term that encompasses a variety of tools that collect quantitative information about the use of a website or application. The process of creating and marketing a consistent idea or image of a product or company. A technique used to understand how users sort information into categories and hierarchies. Working closely with users, stakeholders and the project team to gain buy-in and develop user-centered products that meet stakeholder goals. Research around competitor websites and apps to understand the competitive landscape and identify business and technology opportunities. Performing a feature by features comparison of comparable applications or businesses to understand trends and user expectations. Processes and technology for collecting and publishing information. Conducting research with users in situ in order to understand how they interact with applications or systems. Reviewing and cataloguing a client’s existing content usually in order to make changes to the content strategy or information architecture. Observational research of customers/users in-situ using your product or interacting with your company. The ethnography focuses on watching what the user actually does in a real world situation rather than in a lab or answering questions. In Agile development methodologies, the design spring comes before the development sprint. At the end of the design sprint, wireframes and UIs are handed off to the engineers for their development sprint. User interviews conducted with small groups of people (usually 5-10). Focus groups are useful when understanding how teams of people work together, or as a way to speed the interview process by speaking with many users at once. Quick, low cost testing with any available users in informal situations (friends, colleagues, people on the street, in a coffee shop). It enables real user feedback without a large investment in time or money. A response to traditional, formalized lab testing, the guerrilla testing gets research results to designers quickly. The frequent and critical activities that users will perform on your site. They are complete activities, not single tasks, and will probably require several pages to execute. Defining the happy paths for your site means that you’ll be able to identify and eliminate any usability obstacles on the key user journeys. Evaluating a website or app and documenting usability flaws and other areas for improvement based on a check-list of usability best practices. Also called ergonomics. The scientific discipline of studying interactions between humans and external systems, including human-computer interaction. When applied to design, the study of human factors seeks to optimize both human well-being and system performance. The application of art and science to the design of physical product to be manufactured through techniques of mass production. Aesthetics, ergonomics, functionality, and usability design. An important concept in wayfinding, referring to the extent to which users can predict what they will find if they pursue a certain path through a website. As animals rely on scents to indicate the chances of finding food, humans rely on various cues in the information environment to achieve their goals. See: wayfinding. 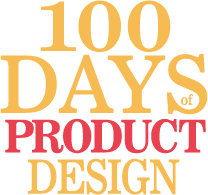 The act of repeating the design process in order to refine and improve the product. Each repetition of the process is also called an iteration. A methodology based on a cyclic process of prototyping, testing, analyzing, and refining a product or process. Based on the results of testing the most recent iteration of a design, changes are made. A quick and easy rendering of the design concept into tangible and testable artifacts, giving an indication of the direction that the product is heading. Often used for usability testing during the iterative design process. A collage, either physical or digital, which is intended to communicate the visual and emotional style of a design or brand. A rough model of a product that shows how the finished version should look. Generally used in the visual design stage of the product design process, mockups are not functional like prototypes. Needfinding is the art of talking to people and discovering their needs—both those they might explicitly state, and those hidden beneath the surface. It is only in truly understanding people and workflow that we can gain meaningful insights to inspire and inform a final, impactful design. A rough, often hand-sketched or cut-out to simulate a user interface. Used in a usability test to gather feedback, participants point to locations on the page that they would click, and screens are manually presented to the user based on the interactions they indicate. A composite identity constructed based on a group of users with similar goals and desires. Used to ensure differing groups or goals are represented in the UI. The stage at which the product is being engineered or built. The role of the product designer shifts from creating and validating to collaborating with developers to guide and champion the vision and ensure fealty to the designs. The formally recognized start of a project, usually a meeting in which all the product team gathers to learn about the goal of the project. An design technique that reveals only the interactions or steps the user requires at that moment in the user flow. Often found in long online forms, the goal is to maintain the user’s focus by reducing the number of input boxes on the screen at one time. A rough working model of a product that shows how the finished version should function. Prototypes can be as simple as a paper mockup to a beta version that is being tested with live users. A series of questions and other prompts used to gather information. Also known as the discovery stage during which time the product team is researching competitors and comparators, conducting design ethnographies, interviews, surveys, creating empathy maps and personas and testing low-fidelity prototypes with user. In the Lean and Agile methodologies, the research stage may be a recurring part of the product cycle and not a separate stage. A design and development technique that ensures the website or application responds automatically to screen size, hardware and orientation. The technique consists of flexible grids and layouts, resizable images and CSS media queries. The design of real world spaces and interactions. Planning and organizing people, spaces and infrastructures like coffee shops, hospitals, and auditoriums. Service design includes signage, workflow, interior design and other material and interaction components of a service. The goal is to improve the quality and interactions between the service provider and its customers. A diagram of all the pages and their interconnection on a website. A methodology for quickly testing the usability of a product with a roomful of people. Speed dating was created by Scott Davidoff of CMU. The planning stage with goals and milestones are decided for a project or sprint. A visual sequence of events used to capture a user’s interactions and emotions while using a product. Similar to a User Journey but using a filmmaking metaphor. A form used to gather feedback from users. Often used when a large number of users need to be contacted in a short period of time. Conversations with the key participants in the organization who have a stake in the outcome of the product; e.g. business owners, managers, marketing directors, sales persons, etc. To ensure that the product team understands the goals and desired outcomes of all stakeholders. The steps a user must take in order to complete a task and achieve their goal with the product. The task list is then used to create the user flow diagram. Is the ease of use, learnability and discoverability of a product. The formal study of usability. A design process that keeps the needs and desires of the user first. Testing ideas and designs with users in order to get their feedback, then using those responses to validate or refine the design. Then testing again until all user problems and pain points have been resolved. A diagram of the steps a user must take in order to complete a task and achieve their goal with the product. The process a user takes to reach their goal, including tasks, emotions, and pain points. Researching goals, tasks, business competition and other areas to understand user behaviors, needs, and motivations. Stepping a user through a set of tasks using the product in order to understand where there is confusion, frustration or blocks. Testing a design with users to ensure that assumptions and design directions were correct. Also called graphic design or UI design. Concerned with colors, typography, style and branding of the product. The ways in which people orient themselves in physical and digital space and navigate from place to place. A component of information architecture. A strictly sequential product development process where progress flows in one direction through design > development > QA > launch > maintenance. A blueprint for the layout and functions of a website or application. The wireframe is delivered to engineers who build the application based on these specifications.